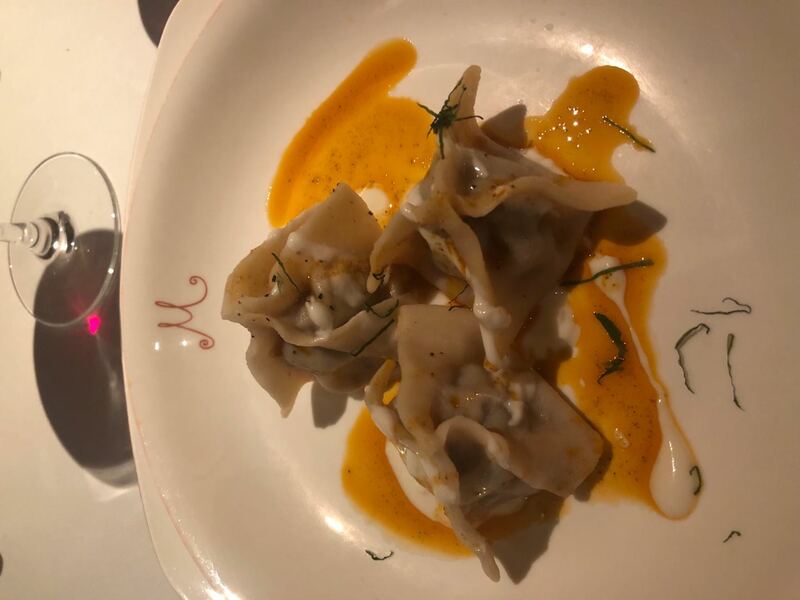 I have lost count of the number of times that I have dined at M on the Bund which was one of the few places that offered consistency back in the closing days of 1999 when M first opened, fast forward to 2019 and still going strong in my opinion. I was invited to dine at M on the Bund just prior to the recent Spring festival, a party of eight, mainly Australian with the exception of me, the group some of whom were first timers to China, and a couple that wanted to show off the lights and sights along the Bund, always a hit with first timers I feel. As always, one is greeted warmly by the hostess, and then shown to ones allotted table, the restaurant was not busy on this Sunday evening, we all took our seats on a round table, ever so Chinese, I took my seat and the chair collapsed underneath me, I promptly fell backwards, and thought that I had actually broken the chair leg, only to find that the chair leg had gone down one of the ventilation vents on the floor of the restaurant. 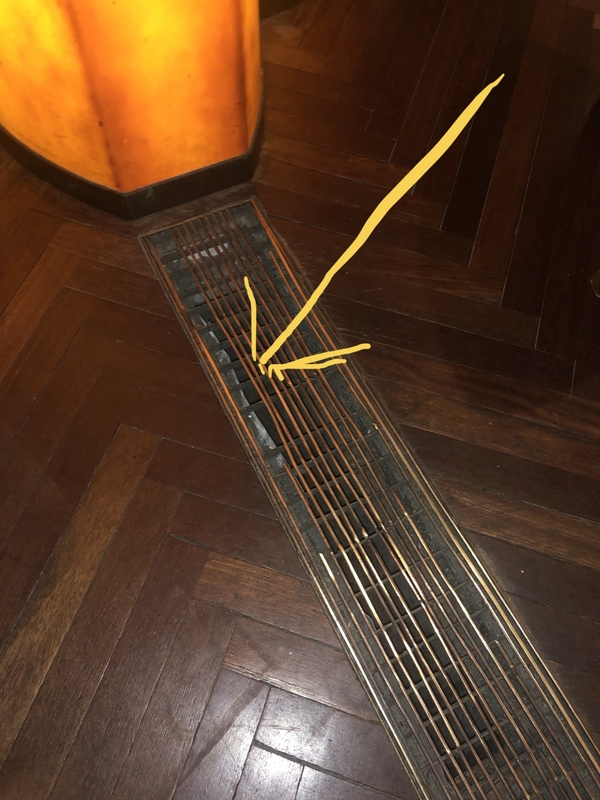 Lots of fussing by the waiters who assisted in lifting the table and moved the table away from the ventilation vents, a bugbear of mine has always and forever be the height to table ration of restaurant chairs to the actual dining table, I had to request a cushion to sit on to raise my seating level. To steady one’s nerves after such an encounter several of us promptly ordered Gin Martini's, and all was forgotten, we all looked over the menus, and started to order our individual dishes. To start off with, I chose the Ottoman Dumplings filled with minced lamb and drizzled with spiced yoghurt, must say these parcels of finely minced lamb went down well. 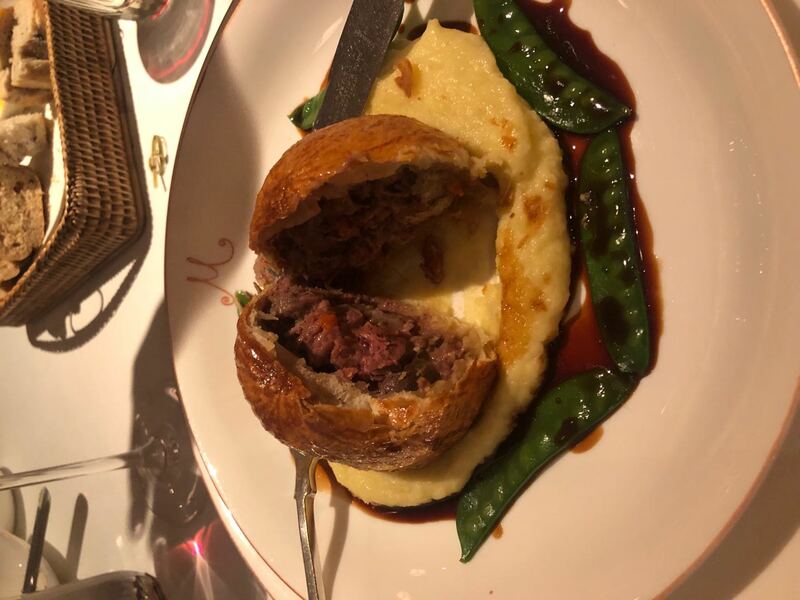 As for the main course, I opted for the Beef and Lambs Kidney Pie surrounded by creamy mash, and mange tout or snow peas whichever takes your fancy, just right for a chilly night out on in Shanghai, the pie reminded me somewhat of home cooking. 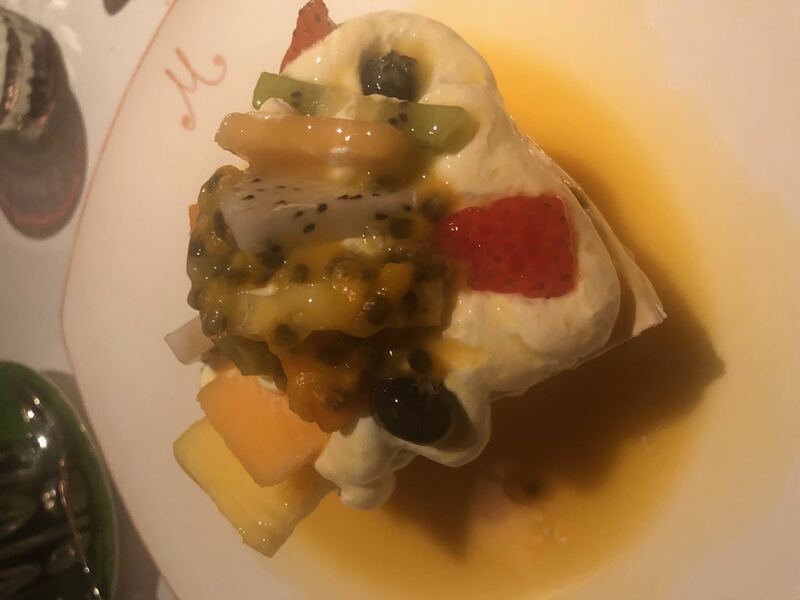 To finish, I convinced the group to order M’s Very Famous Pavlova, well, after all, it is supposed to be an antipodean dessert, whether from the North or South or was it the rather large Westley Island in the antipodes, regardless of who came up with the dessert, the Pavlova was demolished in no time at all. Throughout the meal, several bottles of Italian red were consumed, which made all in all a delightful evening. 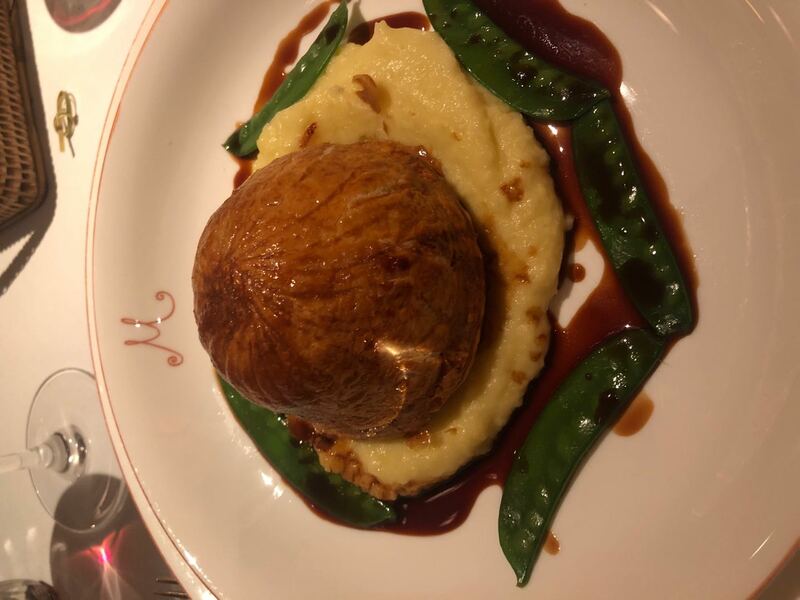 Apart from the mishap with the chair to start with, can’t fault M on the Bund for that special occasion, as it’s always been consistently good.